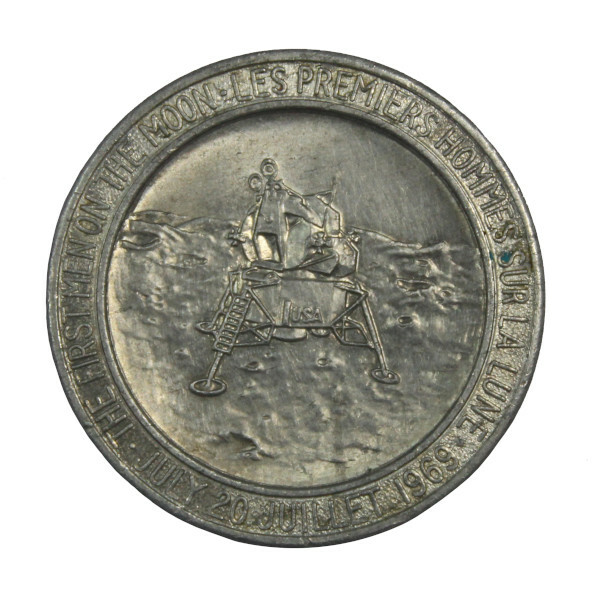 This coin was produced to commemorate the Apollo 11 mission when Neil Armstrong and Buzz Aldrin became the first people to walk on the Moon on 20 July 1969. 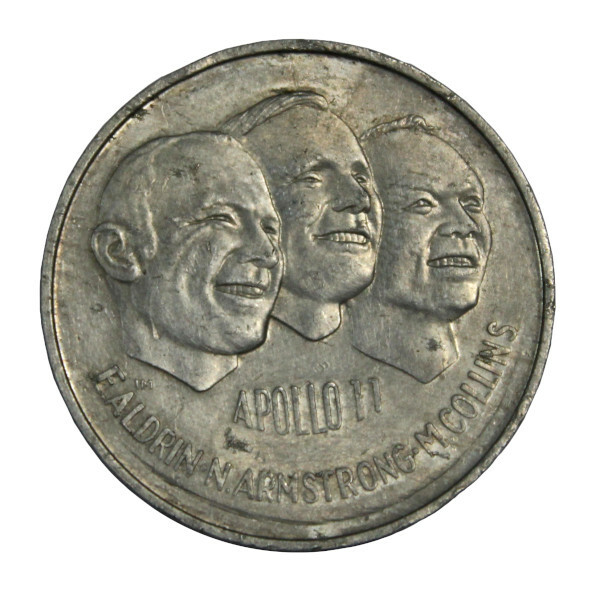 The front of the coin displays portraits of Armstrong, Aldrin and the third crew member Michael Collins, who remained in lunar orbit while the other two were on the lunar surface. The reverse depicts the Lunar Module on the surface of the Moon. The lettering on the reverse of the coin is in both English and French as the coin is Canadian.